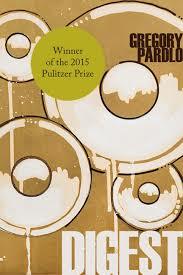 Today we dive deep into a single poetry collection: Digest, by Gregory Pardlo. Digest won the 2015 Pulitzer, and with good reason. This is one of the most universally loved books we’ve had on the show. It’s incredibly personal, and yet it has enough intertextuality and historical references to keep you re-reading for days. Between bouts of effusive praise, we manage to read and analyze a couple of these magnificent poems.